RESERVE YOUR SPOT FOR THE APRIL INTAKE! For close connection and bold breakthroughs, this is an intimate mentoring program; spots are strictly limited and filling FAST! Claim your highest LOVE and LIFE experience for 2019 below! Are you READY to start your self-love revolution TODAY?! Sign Up Now for immediate access & serious savings! READY but needing a little flexibility? Self-Love Sessions Digital is a 6-Week Self-Love Group Mentoring Program hosted 100% online by yours truly! Based on the highly successful live Self Love Sessions holistic workshop experience, this online course takes an intimate group of goddesses just like you through a holistic Mind, Body, Spirit self-love transformation. 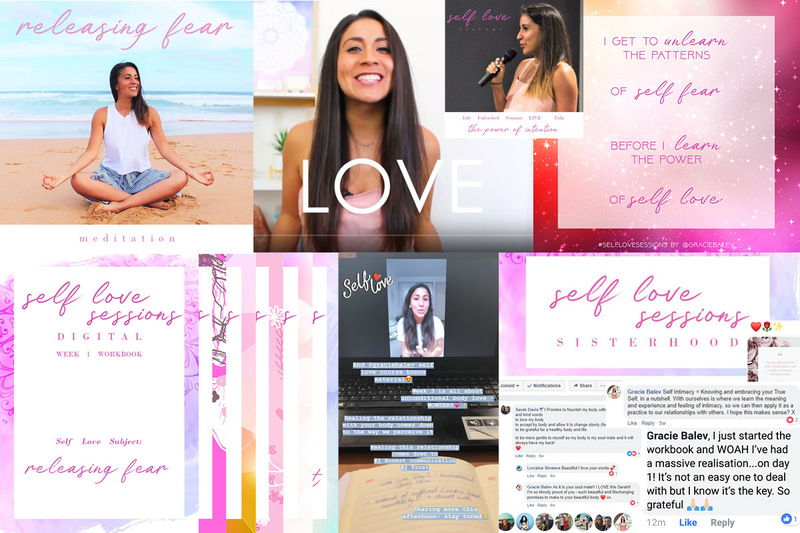 Each week unlocks a new module, or Self Love Subject, that includes a range of healing and inspiring content, including live coaching, energy healing and calls-to-action, all to be experienced alongside your Self Love Sisters who you can connect with via the exclusive online community page. That’s right – self-love does not need to be a lonely journey. This is (finally) Self-Love as it should be – fun, uplifting, healing, inspiring, and seriously transformational. Social Self Love Challenges to get you out of your comfort zone (i.e. fear) and into LOVE! Receive Master level group Reiki healings by yours truly! For close connection and bold breakthroughs, this is an intimate mentoring program; spots are strictly limited and filling FAST and this program DOES sell out, every intake!